This marking is typically found at the beginning of a composition and originally stood for "Mälzel Metronome," but has since come to designate "Metronome Marking." This marking identifies the tempo of the composition in terms of the number of beats per minute. Thus, if the M.M. 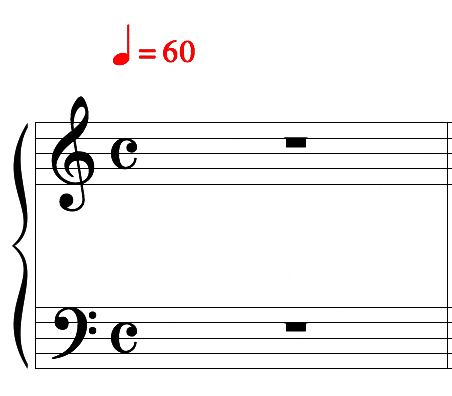 shows the quarter note to equal 60, that means the tempo should be 60 beats per minute or one beat per second.